A place to visit for inspiration. Hello!! Happy September 1st!! 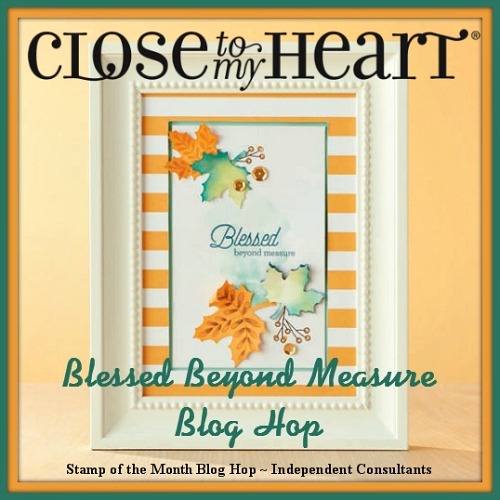 Welcome to our Stamp of the Month Blog Hop. 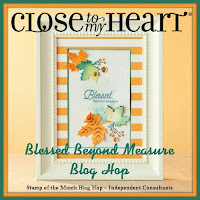 We will be featuring September's Stamp of the Month, "Blessed Beyond Measure". I just love the sayings in this set!! If you have come here from Alyson Mayo's Blog, you are on the right path! The blog hop is a great big circle, so you can start here and work your way all around. If you get lost along the way, you’ll find the complete list of participating consultants on Melinda’s Blog. This month we have 31 Close To My Heart Consultants sharing their creations using this month's SOTM and other great CTMH products on their blogs!! This is simple to do - just click on the link at the end of the post on each blog to move to the next one! Ready, Set, GO!! A little bit about my card. I volunteered last month to create a project for my Upline's team meeting, using this stamp set. Little did I know I had signed up for the next team meeting which was only 2 weeks away and my upline needed the supply list a week before the team meeting! SO I got busy creating and this took NO time at all to come up with! I used the color palette from the NEW Swan Lake paper pack as inspiration for the colors in this card. I used Fern, Poppy and Goldrush. I cut the leaf from the coordinating Cricut Artbooking Cartridge, but cut it 1/4" larger than it calls for. Then using Poppy, Goldrush and Fern inks, I sponged color onto the leaf, stamped the image with Fern Ink and added liquid glass on top to brighten it up and make it pop! The "wood grain" was made with CTMH's new Wood Grain embossing folder, then using a rubber brayer, inking over the top with Fern Ink, just to make it stand out a bit. Don't you just LOVE this saying?? It doesn't even need to be on a "fall" like card! Makes you sit back and think about not always wanting for more than we have and to be grateful for the things we do have. Life has a way of throwing us curveballs when we least expect it. What we do and how we react to those curveballs, is up to us. Who would have thought that at the age of 45 I would be starting my life over, reinventing myself and finally figuring out what I want to be when I grow up. Well, ALMOST! 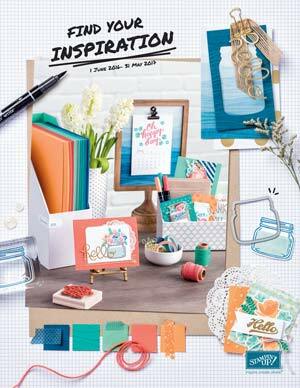 lol I want to play with ink, paper and ribbon and share Stampin' Up's wonderful products and opportunities with you!! I am THRILLED to be part of this company and am looking forward to seeing where the wind takes me. Happy Stamping!! Lovely card, I especially like the woodgrain embossing. Beautiful card! Love the embossing! 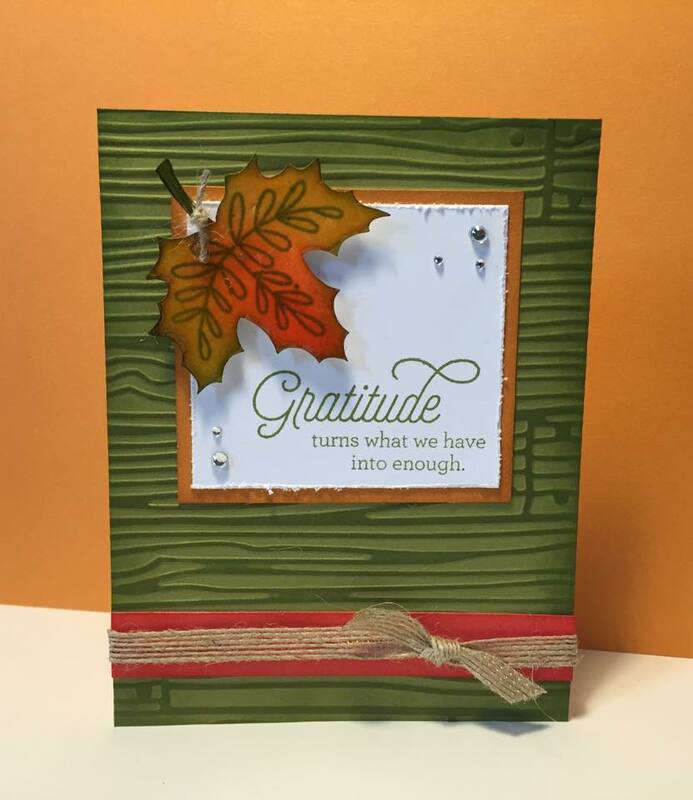 It definitely feels like fall with this pretty card! Oh this is gorgeous! Love that embossed background. Love that embossed background. Perfect backdrop for the lovely fall leaves. Fantastic card! I love the inking on the leaf and embossing. Very pretty-the colours and embossing are lovely. Awesome card. I love the wood grain, inking of the leaf and even the tiny jute tied to the stem. Love the way you inked the woodgrain. Great card. OH MY GOSH!! Thank you ALL for such sweet compliments!! Makes my heart happy!! Get Email Updates When I Post!! Get lost . . . in creativity! Sign up for Paper Pumpkin and you’ll receive a fun crafting kit every month. Go to PaperPumpkin.com to get started. Copyright Info All Images @ Stampin’ Up! 2017 Jennifer Cerizo, Independent Stampin’ Up! Demonstrator. 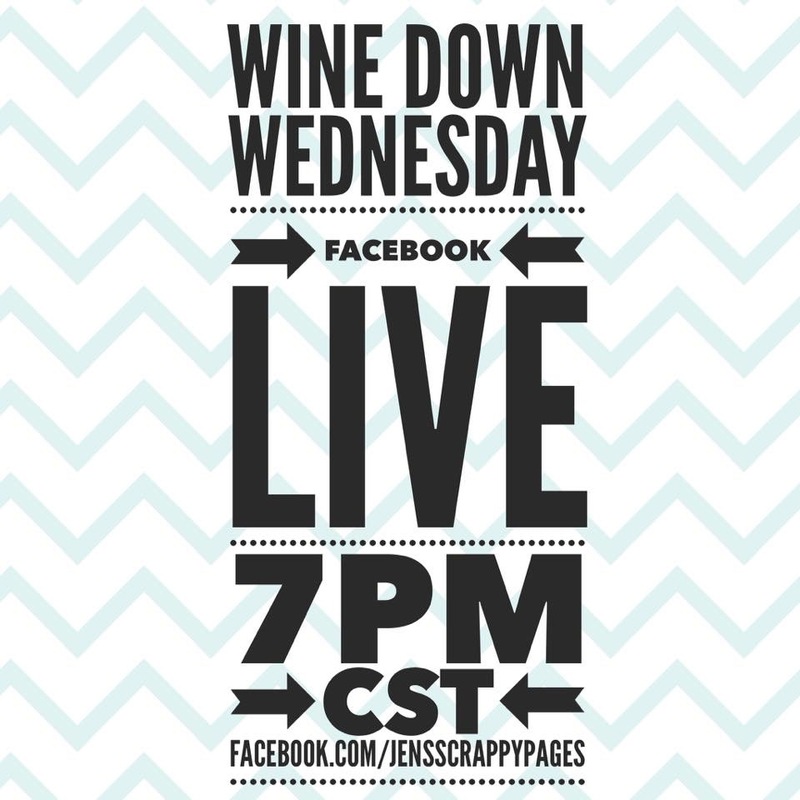 The content of this blog is my sole responsibility as an independent Stampin’ Up! 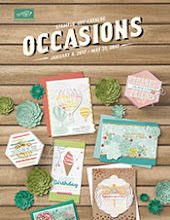 demonstrator and the use of and content of, the classes, services, or products offered on this blog is not endorsed by Stampin’ Up!